With the floor plate covering an area of 104 square meters, and a ceiling height of approximately 6m, the Ross Revenge Engine Room understandably occupies the largest space onboard - over 600 cubic meters in total. ... and numerous other valves and sub-systems. 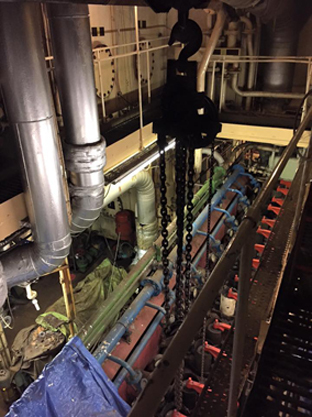 For the moment we take a look at the main items of machinery but when time permits we will also delve deeper into the Engine Room auxillary systems.